[10:50] Author's Summary: They all know where Frank goes when the terror hits him. 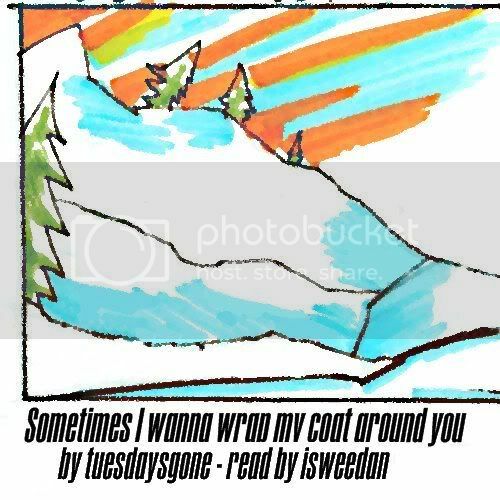 Inspired by Sometimes I wanna wrap my coat around you by tuesdaysgone. Reader's Note: How AWESOME are killjoys in snowflakes verse? SO VERY AWESOME! \o/ I love how much you can extrapolate about this whole world just from this small fic - that's so excellent.